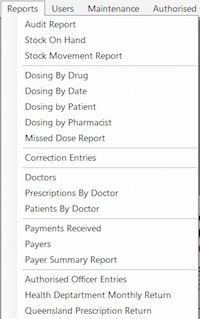 The Queensland Health Department Written Instruction is accessed from the Reports Menu. It is only visible in the state of Queensland. 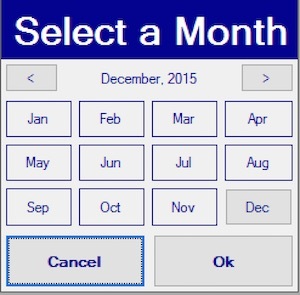 When selected, the user is prompted for the applicable month. The form defaults to the current month. When OK is clicked, the reconciliation form (below) opens. 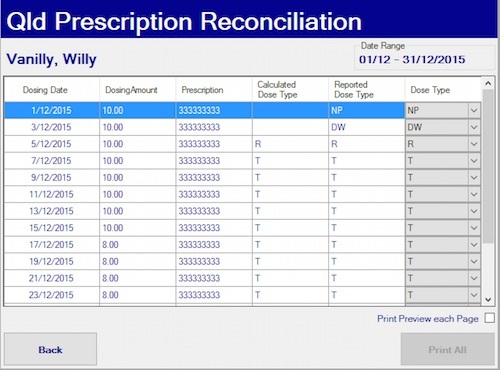 The user can view/print all reports for the selected month or choose individual patients for the month by placing a tick in the corresponding tick-box. If the report is to be previewed, place a tick in the Print Preview each Page tick box. the appropriate code needs to be entered into the form. 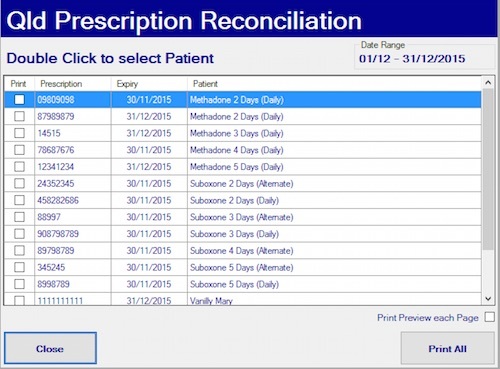 This is accessed by double clicking the patient (following form opens) and the appropriate code selected from the drop down applicable to the corresponding date. The form auto-saves. Once all the additional codes have been entered, one or all reports can be printed for distribution to Queensland Health. The following is a sample of the report produced by EasyDose. 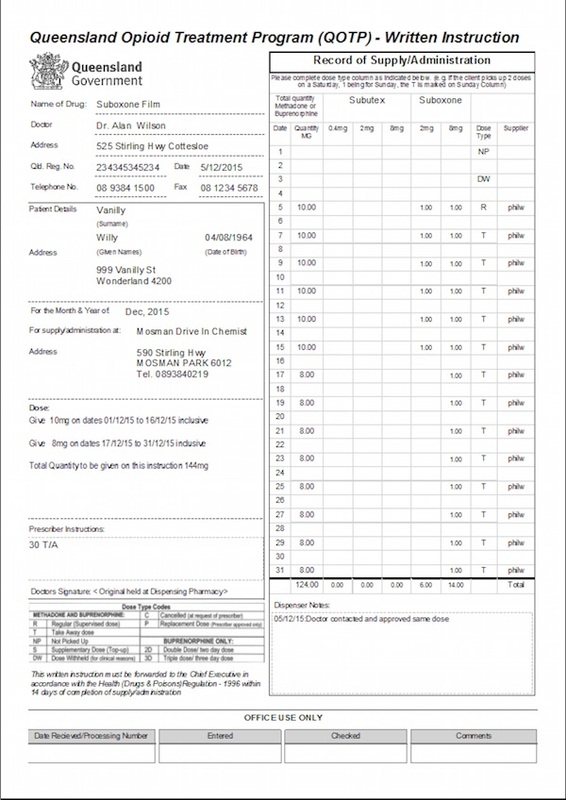 NOTE: The original handwritten report (Written Instruction) is held on file at the pharmacy.